Arrival in Tallinn. Transfer to Hotel Santa Barbara*** or similar, check-in, welcome meeting. The Estonian capital is a charming blend of medieval tranquillity and modern urban life. The medieval Old Town is a busy place in the summer with its many shops, galleries, souvenir markets, outdoor cafés, and restaurants. The sightseeing tour takes us around the old medieval city walls and into the Old Town where we see Toompea Castle, Dome Church, Alexander Nevsky Cathedral, medieval Old Town Hall and Great Guild Hall. After leaving Tallinn, we reach Lahemaa National Park in the early afternoon and check-in at Hotel Vihula Manor Country Club & Spa 4****, a charming 16th-century estate located in the heart of the park. The dinner at Kaval-Ants Tavern features a genuine Estonian countryside meal in the rustic ambiance of the old ice-cellar. After breakfast, we visit Lahemaa National Park with its vast stretches of beautiful untouched nature and many charming manor houses. We will take a delightful walking tour through the park (2 hours, medium) and visit the famous Manor House in Palmse (entrance), a testament to the industrious von Pahlen family. Then we continue to Tartu, the University Town, where Estonia gained its statehood. We will tour the charming Old Town and the University founded in 1632. Check in at Hotel London**** or similar. Departing from Tartu, we head south and reach Valmiera, a Hanseatic town founded in the 14th century, and a castle built by Livonian Order. After a short tour of the town we will visit a small, private Valmiermuiza Brewery (entrance), where we will find out the secrets of beer brewing and are invited to test the produce. The day continues with a visit to the local farm (entrance) to try the delicious organic cheese produced by the local farmers. Late in the afternoon we arrive to Hotel Marciena Manor**** a picturesque and romantic estate in the middle of Latvia. This evening offers a BBQ dinner at Marciena Manor. Leaving Marciena our first stop is in Aglona, where we visit Aglona Basilica (entrance) built in late baroque style and a ceramics workshop, an important symbol of Latgalian culture. Further, our tour continues to Daugavpils, Latvia’s 2nd largest city. We tour the historical center of the city and visit the 19th century Daugavpils Fortress and the Mark Rothko Art Centre (entrance), the only place in Europe, where the original masterpieces by the famous founder of abstract expressionism can be seen. 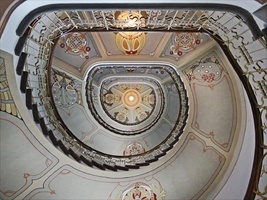 Just outside the city we find the lovely Sventes Manor and we check in at Hotel Svente Manor**** or similar. Latgalian dinner at Restaurant Art Hub. Today we continue southwards into Lithuania and arrive at Aukstatija National Park with its many lakes, rivulets, and streams scattered between forests and hills. We explore the park on a 20km bike ride through the scenic landscapes and visit the pretty lakeside town of Paluse, famous for its wooden church. Late in the afternoon, we head towards Vilnius. Upon arrival, we check in at Hotel Artis**** or similar. Vilnius is known for its more than 1.200 medieval buildings and churches. The morning sightseeing tour includes a panoramic tour of the city and a walking tour of the Old Town with Vilnius Cathedral, Gediminas Tower, St. Anne’s Church, Old University (entrance) and the Gates of Dawn. The afternoon is free for exploring more of this baroque jewel on our own. In the evening an optional zeppelins culinary master class and a traditional Lithuanian dinner at Restaurant Senoji Trobele is on our program. From Vilnius, we continue towards Trakai, the medieval capital of Lithuania, where we will visit the Trakai Castle. The castle is beautifully located on a lake Galve island. Further, the road takes us through the hilly landscapes of Lithuania to Klaipeda. 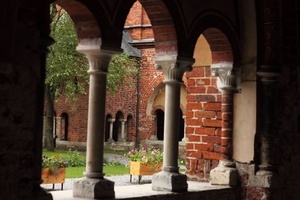 In Klaipeda, we will do a short sightseeing tour of the Old Town with its narrow cobblestone streets and old guild houses, the Theater Square and the Aennchen von Tharau Fountain. Later we will continue our journey along the coast onwards into Latvia and soon arrive at the coastal town of Liepaja. Check in at Hotel Kolumbs**** or similar. The evening offers an optional casual dinner at a beach café right on the wide sandy beach. After breakfast, we start the day with a short stroll in the Old Town of Liepaja and the Trinity Church (entrance) , later we visit Jurmala Park and the former Naval Port area with its famous Orthodox Cathedral. Afterwards, we continue through the former Duchy of Courland to Jurmala, the famous Latvian sea resort, known for its wooden architecture and wide sandy beaches. We will do a walking tour on the sandy beaches (2 hours, light). 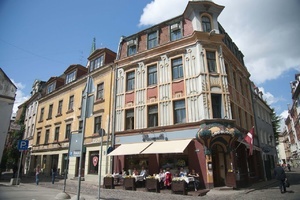 We reach Riga late in the afternoon and check in at Hotel Astor Riga**** or similar. 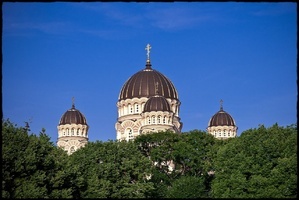 Founded in 1201 by the German bishop Albert, Riga is famous for a variety of architectural styles. 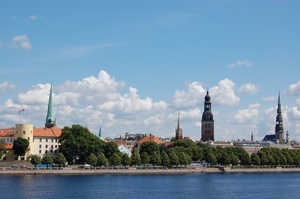 The walking tour of the Old Town takes us to the Riga Castle, Three Brothers, Dome Cathedral, Large and Small Guild House St. Peter’s Church, Swedish Gates, and the Freedom Monument. The afternoon is reserved for an optional visit to one of the largest markets in Europe - Riga Central Market. There we will have an opportunity to learn about Latvian cuisine and Latvian organic food and sample Latvian specialties, such as black bread, vegetables, fresh fish, countryside sausages and much more. In the evening, we enjoy a Latvian farewell dinner at the stylish Restaurant Forest with traditional Latvian specialties topped off with a shot of Riga Black Balsam.